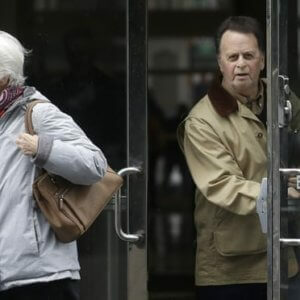 On March 20, a jury of six people in California delivered a decision on the science of glyphosate, the active ingredient in Bayer’s Roundup, concluding it contributed to a person’s cancer. There were no toxicologists, chemists or oncologists on this jury. No studies were read or cited. This farce is a result of a group of outspoken scientists working with Predatort law firms who have decided this adversarial litigious approach is more efficient than the regulatory risk management process the democratic institutions had developed (and they write openly about it). These true believers, these scientific zealots, have proven they are willing to work with anyone to get their way – wither public trust in science and our elected risk managers. In all of my SlimeGate interviews with scientists over the nature and intentions of the scientific tort-torts (those working with the Predatort law firms), the same question always popped up: Is this person merely an opportunist (in it for the money) or a true believer (an activist-scientist ideologically committed to changing the world)? I would then ask: Which is worse? 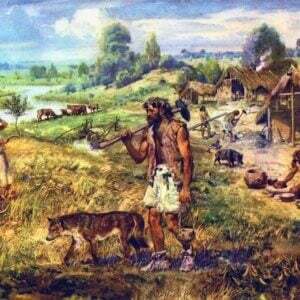 The opportunists represent the base, greedy bottom-feeders growing around the unkempt edges of the communities of scientists. Their actions and intentions are not professional and they should not be considered as scientists in the courtroom (where they act as trained seals reading from a Predatort script), nor in the conference halls (where they act as hypocrites). They are slime. But at least we know their game—they can be bought and once the money runs out, these despicable people will move on to the next trick. The true believers are in the game for something more than just mercenary greed and will stop at nothing to win. Like the eco-religious activist zealots they often work with, they feel the rules don’t apply to them and their higher calling. But in this case, the game the tort-torts play is quite different and it is putting the reputation and public trust in science at risk. Some scientists, especially those who have been part of the regulatory process, may feel that the way risks are managed by elected officials is not the most efficient. In other words, if something must be done about the chemicals some scientists may truly believe are carcinogenic, the true believers will find a way to act outside the accepted public process. The best approach depends on the regulatory environment and the weak spots that can be exploited. In the United States, laws and regulations are checked and balanced. If you want to ban a substance like glyphosate do not bother going through elected officials—the voice of farmers and farm constituencies are too well represented. The weak spot in the US is the strength of the tort legal system to manipulate markets and effect change through relentless litigation and the economic pain it can put upon manufacturers. So if you want to effect change in the United States, identify some greedy Predatorts to join you in strangling a company or an industry until their only option is to comply with your interests or go out of business, often both. The Tort-Tort Process involves a network of well-connected, outspoken scientists working with and for unscrupulous tort law firms. 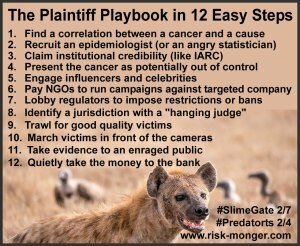 Their task in the Predatort’s Plaintiff Playbook is to provide a legitimate scientific source supporting something resembling evidence the lawyers need to persuade juries of the corporate subterfuge and malfeasance necessary for significant payouts. The previous section in this chapter showed how a corrupted WHO agency like the International Agency for Research on Cancer (IARC) served as a “useful idiot” for this process. The tort-torts would imbibe themselves in the settlement largess as well, but for the true believers, controlling the system and effecting change was more enticing. SlimeGate started with an analysis of the so called La Jolla Playbook. It was a closed conference where academics, lawyers and activists met in La Jolla, California in 2012 to strategies a means to “tobacconize” other industries. Their focus was to design a process to litigate the oil industry to its knees (along the same route that worked to destroy the influence of the tobacco industry), linking them to climate change, getting the scientific community to flood the courts with data and studies, while using the activist NGO community to create outrage and pummel the industry’s reputation to the point that no potential juror could possibly sympathize with the industry position or the worth of its products. The attraction of this tobacconization strategy is the multi-layered scope of the interests that are satisfied. The Predatorts are drawn to the unlimited fees they can extract from such widespread litigation (make Exxon pay for the damages from climate change and they extract half of that amount for the firm); the activists and NGOs get a platform and funding from which they can expand their anti-corporate, anti-globalization steroidal campaigns within a victim-focused narrative; and the tort-tort true believers find a tool to impose their scientific views unfettered onto a decision-making process. The La Jolla Playbook is a simple, quite beautiful usurpation of the policy process. With glyphosate, for example, no science-based regulatory authority would ever consider this important agricultural tool an environmental health risk. Still, the NGOs have been pounding the public perception of Monsanto (and now Bayer) for years. 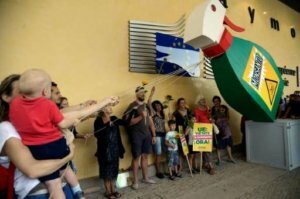 Then a group of anti-agriculture technology scientists finally manipulated IARC into delivering a hazard-based sentence linking glyphosate to cancer. No legitimate scientific body accepted IARC’s pronouncement. No problem—one agency (remotely tied to the World Health Organization) was enough for the lawyers. The IARC monograph opened the flood-gates for the Predatorts to trawl for plaintiffs on late-night TV, sand-blasting the courts with thousands of cases of suffering cancer victims (over 11,000 at last count), filling the media with emotional tales of betrayal and corporate malfeasance (but no science). The scientific tort-torts tied to glyphosate are cashing in by the millions while legitimizing the process to the scientifically ignorant. 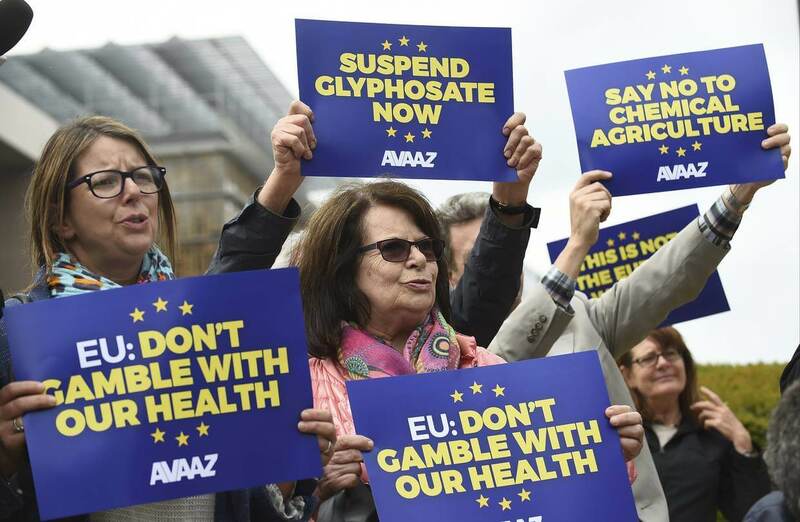 As insurers are refusing to cover glyphosate, no company will be able to survive this litigious siege of self-righteous greed and the product will effectively be banned (the agricultural community and consumers will face serious issues). This coup was pulled off without a whiff of regulatory intervention or scientific evidence suggesting glyphosate was a risk. If I were a true-believing tort-tort scientist passionately committed to banning a substance I don’t like (in this case, actually, GMOs), I’d forsake the democratic risk management process and get in bed with these slime balls, too! And after copulating, the money’s always good! In the last section on The Benzene Bastards, I examined an email a tort-tort, Bernard Goldstein, sent to Kurt Straif, then head of the IARC monograph programme, imploring that he call for a third IARC panel meeting on benzene so the law firms he was associated with could have more success suing industry. In that section, my focus was on the way tort-torts were influencing IARC on behalf of their Predatort paymasters, but the email also provides a rich example of the Tort-Tort Process. While I feel Goldstein is merely an opportunist (he represents both plaintiffs and defense with the same mercenary zeal), he puts forward the ‘true believer’ position to his Ramazzini colleague. Imposing precaution may be “admirable,” but Bernie feels adversarial regulation (litigating the hell out of industry) is better. The very term “adversarial regulation” is hauntingly clinical; it is not regulation but a method to circumvent the regulatory process via personal damage courts. Regulation should be about engaging with stakeholders and finding common ground and dialogue. What Goldstein is advocating is a heinous tool for little dictators to effect change via the greed and corruption of a broken tort system. Then again, he is aiming for efficiency rather than a fair, open process (or the best use of scientific debate). 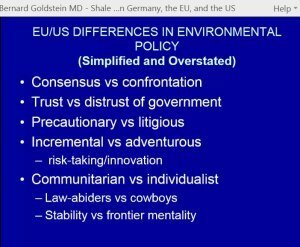 Worse, Goldstein in a lecture comparing the US to the EU in reference to benzene cases, showed how the US litigious approach (“adversarial regulation”) was more effective than the EU’s precautionary principle. Indeed, making people pay or threatening them with jail time is much more effective at changing behavior than assessing the availability of scientific evidence to promote safety (or engaging in messy dialogue or consultation processes). In that lecture, Goldstein awkwardly used cleaning up FIFA, the federation of international football associations, as proof of how the litigious process is much better. Europe couldn’t fix the well-known corruption at FIFA and so, Goldstein crowed, it took the Americans going out and arresting the top leadership to put things in order. Putting the evident graft and corruption in FIFA aside, I’m not sure, historically speaking, making summary arrests of a group of people serves as a good benchmark for an effective policy tool. The true believers acting unilaterally outside the democratic process on a mission to protect human health and the environment are acting as cultists. Someone like Goldstein, who worked inside the Environmental Protection Agency (EPA) during the Reagan administration, clearly understands the trade offs in any regulatory process can get messy, and he has consciously chosen to bypass the democratic process and let the Predatorts decide policy via relentless litigation. This is a mafia-style bully tactic, not science. Now I get that someone like Bernie Goldstein may feel he is the smartest person in the room, that he understands how the laws of science are not democratic and that the regulatory process does not always lead to the best conclusions in the short term. The tort-tort, however, is not the regulator and “adversarial regulation” is not actually regulation. Regulators need to respect the democratic will of the people and leave the risk management process to those appointed by elected officials rather than a technocratic dictatorship of true believers using activist zealots to manipulate widespread fear and outrage among potential jurors and slime ball Predatorts to exact relentless pressure on companies via a broken tort legal system. The Tort-Tort Process may be efficient for imposing one’s will and beliefs upon a society while destroying industry and innovation, but it is neither democratic nor trust enhancing. While the Predatorts have a good business model and are happy to continue recruiting potential victims for new lawsuits (by the thousands), the NGOs and the true believers have different objectives, namely policy and behavioral change. And since most policymakers (outside of Brussels) are still relying on evidence and companies are standing behind the principle of scientific integrity (and fighting it out in the courts), these true believing scoundrels have to get more manipulative. In March 2019 I noticed two cases where the Predatort strategy and the Tort-Tort Process are paying off in changing policy. Insurance companies are the groups that will need to pay out these large Predatort thefts. (Sorry, but if you thought all of this effort was to punish Monsanto and hurt industry, I am afraid you have been terribly naïve—the relentless efforts of anti-GMO groups like U.S. Right To Know and Corporate Europe Observatory are designed to punish consumers upon whom the costs for the Predatort private jets will be passed on.) Now, insurance companies do not willingly want to give money away, and in cases where they may not be able to pass the Predatort settlements onto consumers (litigation insurance is the main reason healthcare is so expensive in the US), they are pulling out of insuring certain sectors. A main supplier of golf course maintenance materials announced in March 2019 it would no longer supply glyphosate to its customers seeking to have weed-free putting greens and fairways. The reason for this is not scientific or religious–the company acknowledges in its message that they will continue to fight for rational approach to pesticide policies–but because its insurer will no longer cover the company for glyphosate given the high level of litigation risk. The insurance company realized it would have a hard time recouping Predatort payouts from a limited number of golf memberships. 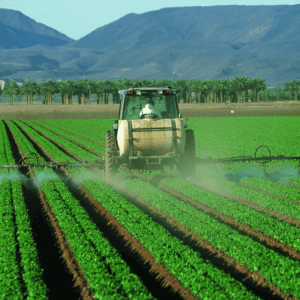 It will still insure glyphosate for the agriculture technology industry, as these Predatort payouts can be passed onto the farmer and the consumer. 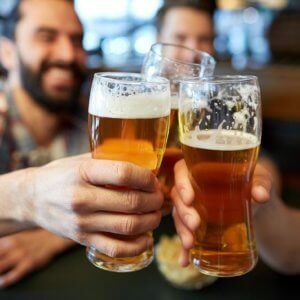 For that 5% increase in food prices, Americans can thank USRTK’s Carey Gillam, former IARC adviser Christopher Portier and attorney Brent Wisner, all whom are pushing the glyphosate-cancer lawsuits against Bayer. Lundy, Lundy, Soileau and South is one of the main law firms taking on victims of mobile phone exposure (and is also one of the Predatorts feasting at the glyphosate trough and the J&J talc madness). They employed a certain Christopher Portier to advise them on EMF cancers (Portier chaired a group in the IARC monograph that concluded, yes, mobile phones are carcinogenic). That advisory contract was just prior to Portier’s involvement in the IARC glyphosate monograph panel, upon which, just by chance, ten days after that IARC panel, Lundy, Lundy, Soileau and South found Chris accidentally passing through Louisiana and decided to have him sign a further, much larger contract for “scientific consulting” on glyphosate. At least that is how Portier tells the story. That little true believer should be thrown in prison for being a menace to society, technological innovation and consumers. It should be noted that Jack Siemiatycki (a well-known tort-tort in the IARC-inspired J&J talc litigation madness – see Section 1 of this chapter) had also chaired a subgroup on the IARC mobile phone cancer monograph (as well as scientific “consultant” Ronald Melnick). So the vultures are perched and waiting for the cancers. In any case, with these lawyers and activists on the loose, sell your shares in PG&E, Apple and Samsung (and give up golf). I would suggest you shift your investments to one of the rather opaque litigation finance firms. Ironically, Bernie Goldstein and Chris Portier penned a commentary together where they worried that the Séralini retraction, and the suppression of the scientific process, would “erode the scientific integrity upon which the public trust relies.” Really now! So, I suppose enriching yourselves while using a WHO agency to deliver a concocted declaration which you can then use with slime ball Predatorts to circumvent the democratic regulatory risk management process makes you into Mother Teresa? This piece originally ran at the Risk Monger as SlimeGate 3/7: The Tort-Tort Scam 3/4: The True Believers and has been republished here with permission.